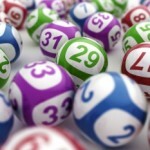 With the introduction of the internet, lottery players got a lot more diversity in terms of what lotteries they can play. All of a sudden, your location became irrelevant. However, the online world became a breeding place for online lottery scams as well. Believe it or not, thousands of scammers prey on naive, yet very eager lottery players. There isn’t a guide that will help you spot and expose all online lottery scams, but I can give you some tips. Some of my fellow lottery players call them obvious, but I tend to disagree. They are obvious only when the player is willing to question the lottery’s integrity. This has happened to me on numerous occasions. I simply enter an online lottery web page and Bam! Some of the customer support representatives, or the sales staff, contact me. Mind you; I haven’t registered yet. Why would you contact me? I might be just looking around. Also, don’t you have any existing players you need to service and assist? I’m just a new guy, and you waste your time and resources on me? That’s fishy. It’s common sense to assume something’s not right. Note, this is not always true, but it still leads me to question other things. Eventually, all the bad things are brought to light, and I dodge a bullet. You see, online lotteries invest thousands of dollars in promoting their product, their services and occasionally their promotions. Now, an online lottery scammer does not have the resources, or simply, the scammer is not willing to put more of its money on the line. There won’t be any sources linking to that page. For example, you might hear of a lottery of this kind by some shady blog that’s been established recently. Its sole purpose is taking players such as you to it. This can be difficult to notice, but I have no doubts that an experienced lottery player will eventually get to this point and question it. If there’s little to no information on the webpage, primarily about the company, who owns it, if it’s a subsidiary, if it’s associated with regulatory bodies, etc., it’s highly likely you’re dealing with an online lottery scammer. At this point, the operator does not want to lead any visitor to believe that it’s not what the individual is looking for. It’s a red flag, and nobody can deny it. I wonder why there still are online lottery scams when the lottery community has become so close. Sure, you might fool, a dozen players, but the news will spread like wildfire in no time at all. All those resources spent on something that lasts a couple of days, what a shame. 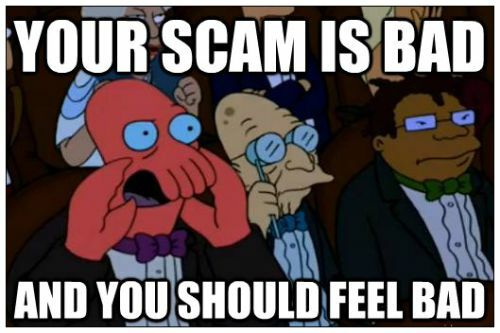 If you’re a lottery scammer, yes, you, you should be ashamed of yourself. The devil is in the details, but the devil is everywhere. Operating an online lottery takes skills, knowledge, experience, but most importantly, it requires paying great attention to details. Poor grammar is the initial red flag, followed by broken links that lead to not existing pages. Now, inconsistent language is the most difficult to notice, because as a player, you will need to spend some time exploring, browsing the web page. The terms used will differ. Although the said terms are synonymous, the terms and conditions must be consistent. However, because the scammers copies them from other places, these patches usually result in inconsistent wording. This points to lack of experience in the field and absolutely no integrity. Can you imagine a lottery operator with hundreds of employees without any of them being an expert in legal matters, especially when it comes to online stuff? If you’ve probably dealt with legal issues, you know how vital wording can be. I understand operators that are eager to give away discounts and promotions, but bombarding your players with rather alluring deals is not the way to go. Don’t you have employees to pay for? Don’t you have prizes to pay out? Don’t you have overheads to cover? These deals are the next level. As I just mentioned, it’s okay to take advantage of a discount. After all, it’s a way to attract new players, new customers. Nevertheless, if you’re offered spectacular deals on a suspiciously frequent basis, something’s wrong. I’ve said it many times before. You cannot win the lottery if you don’t buy a lottery ticket. Moreover, you can’t win a lottery if you haven’t heard about it, yet. You’re usually contacted by an “official” of a given lottery, stating that you’ve won a given amount of money. You’ve won the lottery. However, the official then states you need to pay some fee to process the winnings. I mean, come on! This is one of the oldest scams on the internet. Besides, the sender’s email looks shady. It’s nowhere near being official. 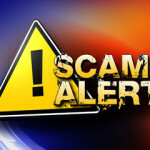 This is a clear, obvious sign you’ve stumbled upon an online lottery scam. Why don’t online lottery scammers have legit looking emails? Because, if a person wants to obtain one, the provider requires legit documents. At this point, the scammer leaves a trace that can lead back to him/her. If somebody reports it, files a complaint and takes the lottery to court, somebody is liable for the scam. By the way, the penalties can be harsh, depending on the amount they’ve managed to steal away from their victims. Legit online lottery operators are investing millions of dollars to keep scammers at bay and raise awareness in the community. You know those bars that show you the latest online lottery winners? They look alluring, making you believe somebody won. In most cases, this is true. However, what lottery winner would like to be advertised as the winner? After all, every online lottery winner has the right to stay anonymous. Testimonials are over the top, and they are very rare. Now, although I don’t approve of this, some legit, recently established online lotteries do it, with the purpose to bring in new customers. However, if the lottery winners stay the same, even after a more extended period, or at the very least repeat, it’s a visible sign that there aren’t any winners, that there aren’t any regular players. I wonder why a scammer won’t change these names? I mean, doesn’t it look suspicious to them? I bet it’s not on the agenda of their online lottery scam boot camp. Lastly, I know that many of you are continuously looking for the next lotto, that only you know you can crack. Always winning, outstanding returns, they sure are on my list. However, whenever a lotto appears too good to be true, that’s because it is not true. Yes, it is too good, but it’s not true. 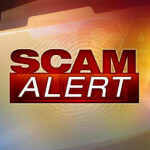 Chances are, even if you do win, you won’t get your prize, because IT’S AN ONLINE LOTTERY SCAM. The biggest problem is that you don’t realize it’s a scam until it’s too late. Everything else is on point, the wording, the promotions, the approach to the players, basically every single thing I already pointed out. Their key selling point, high odds of winning. A new online lottery player can be easily tricked, whereas an experienced one will dig deeper, check forums, reviews, and past experiences. If the odds stand out, it’s a good enough reason to go deeper and double check if it’s true.